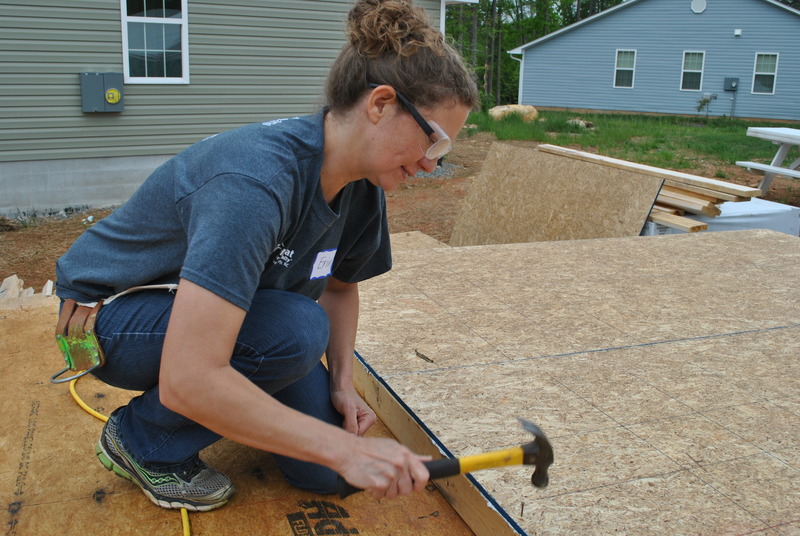 Habitat for Humanity's annual Women Build program recruits, educates, and inspires women to build, fundraise, and advocate for stable and affordable homes in our communities. Women Build volunteers and fundraisers from all walks of life have come together to build stronger, safer communities. Habitat's across the nation participate in National Women Build Week, in an effort to challenge women to devote at least one day to the effort of creating affordable housing. For questions regarding Women Build, contact Kaitlyn at kkopala@orangehabitat.org. 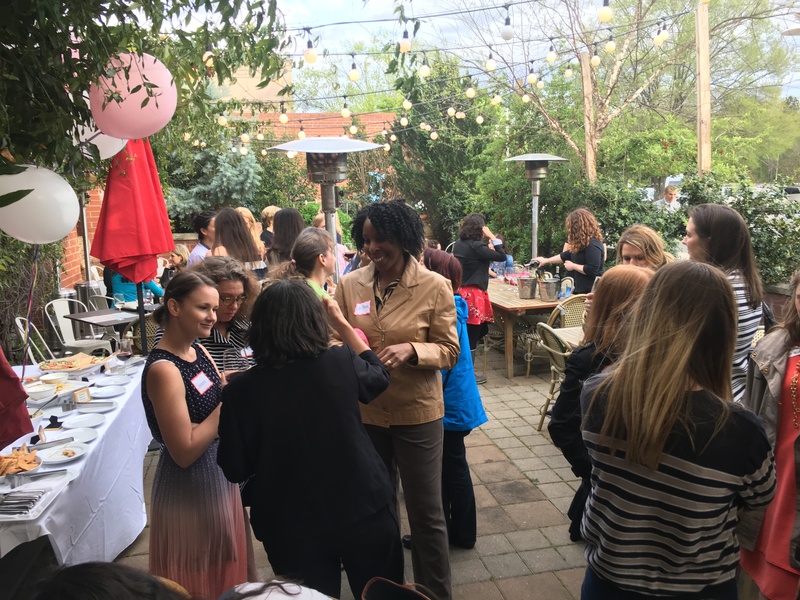 Volunteering with Women Build is a fun way to connect with other women passionate about affordable housing in Chapel Hill. No construction experience is necessary to join us; you'll learn everything you need to on site. Anybody over the age of 18 (yes, even men!) are welcome to join us on site during Women Build week. An average Habitat home costs $80,000 to build. In order to help families, we rely on our passionate supporters and donors to help us build homes. This year, we have set a goal to raise $30,000 to help us fund the Women Build home. 2. Ask your network to make a donation - Create a fundraising page where you can ask friends and family to support your efforts to help build a home. You can make your own personal link by clicking here. 3. Attend an event (see event list below) - Events range from dinner parties at individuals homes to give back nights at bars and restaurants. Check out our list of upcoming events where proceeds are benefiting Women Build below. 4. Honor a special Mom in your life by purchasing a Mother's Day Card and making a donation in her name to Habitat. See below for our list of upcoming fundraisers and giveback events. Do you want to host an event for Habitat or know of a company interested in partnering with Habitat? Contact Kaitlyn at kkopala@orangehabitat.org. Women Build is a community of hundreds of passionate supporters who are making a difference in Orange County one nail at a time. 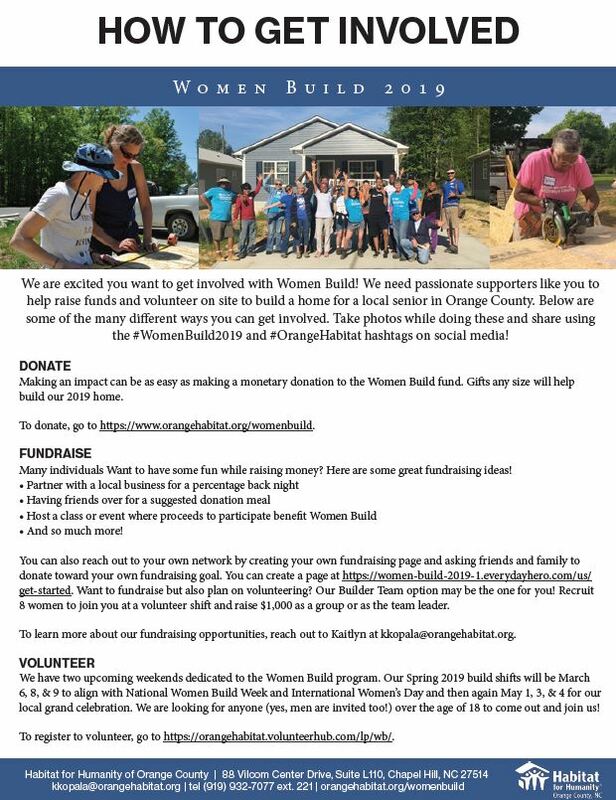 By sponsoring this build program, you and your company not only has the chance to be seen by women who are engaged and active in their local community, but will also be part of building strength and stability through shelter for local seniors in Hillsborough. Thank you to our 2019 Women Build Sponsors! 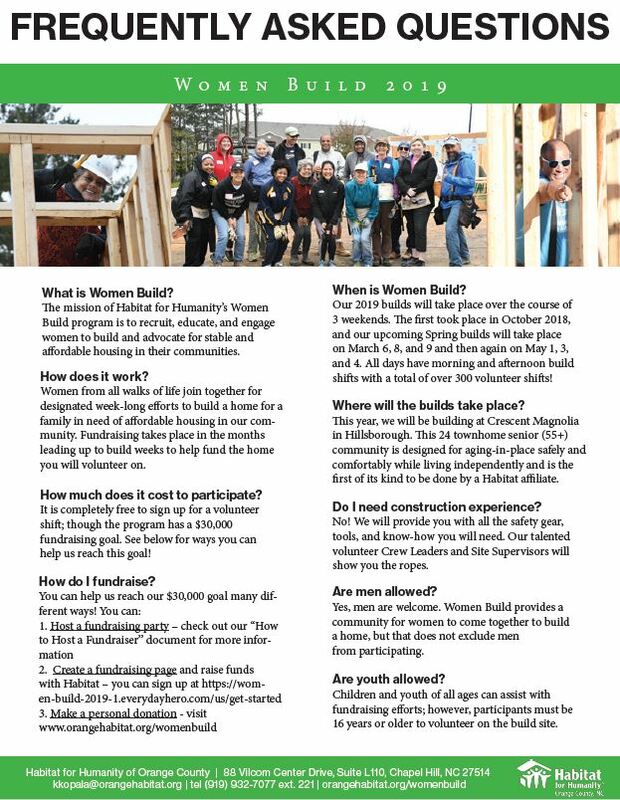 Interested in sponsoring Women Build? 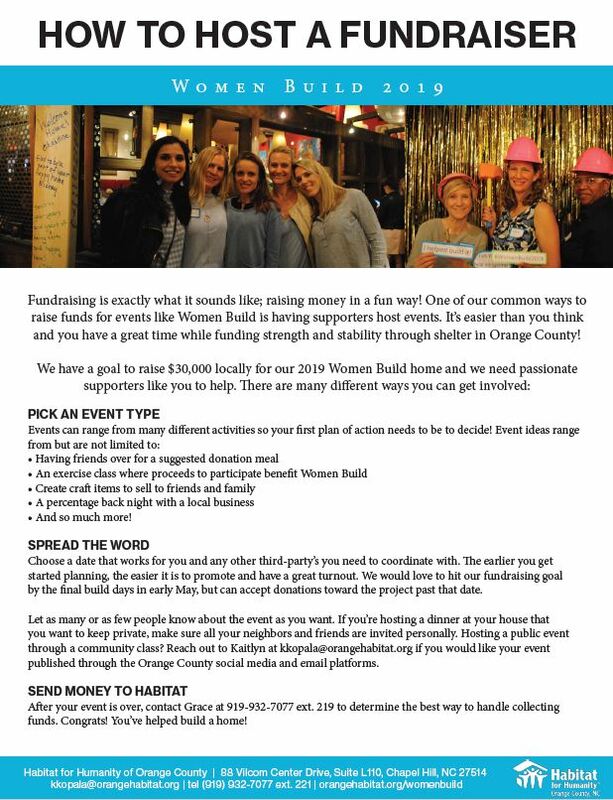 Check out this one-pager or contact Kaitlyn at kkopala@orangehabitat.org.